We often think about going through online malls to earn bonus points or miles when we buy things online. And while you may be able to earn cash back at Ticketmaster via a mall, you can’t earn points or miles. United’s hoping to change that via their relationship with Score Big. 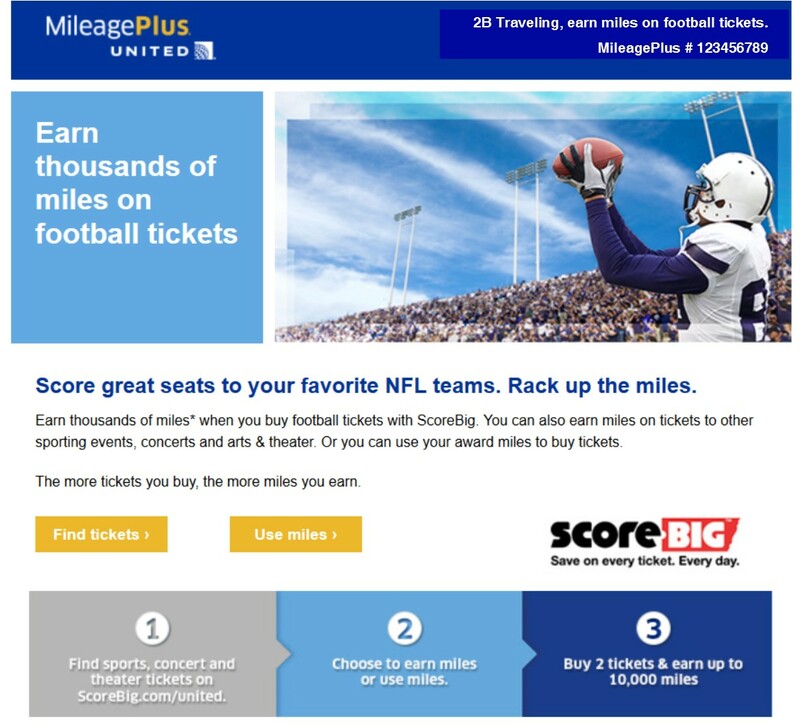 Now you can earn a minimum of 500 United miles for each pair of tickets you buy to ball games, concerts and other events and you’ll also get 1000 bonus miles on your first purchase. You may earn even more miles depending on the event ticket you select. There are a lot of footnotes to this promotion so be sure to read them before forking over your hard-earned dollars! Go to scorebig.com/united to get started.